View the programme and essential information. Registration for #BES2018 is now onsite only. Every year we have an outstanding group of plenary speakers. This year is no exception. Browse the interactive workshops taking place at #BES2018. We are pleased to offer a number of post conference tours to enhance your stay in Birmingham! We are excited to bring our renowned Science Slam to Birmingham for BES2018! Read about the provision we have in place to support delegates with physical and mental health needs. We are pleased to offer Childcare at this year's Annual Meeting. Information for families attending the Annual Meeting. 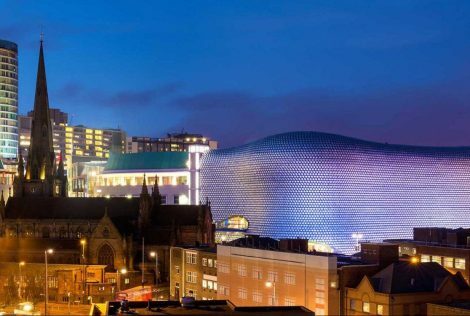 Browse recommended Hotels & Hostels to help plan your trip in Birmingham. Each year we ask delegates to feedback on their experience at our Annual Meeting. Here's what we’ve done in response! The agenda for the 38th Annual General Meeting of the British Ecological Society held at BES2018. Raise your profile within the global ecological science community.